Not All PRP Preparations are the Same. A Call for More Systematic Research. Growth Factor and Catabolic Cytokine Concentrations Are Influenced by the Cellular Composition of Platelet-Rich Plasma. 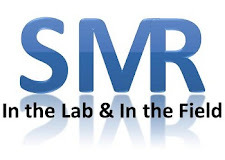 Platelet-rich plasma (PRP) has been repeatedly covered on SMR and is an intervention being rapidly adopted by sports medicine clinicians around the world. The concept behind PRP is that platelets and PRP contain or release growth factors that improve healing. However, less attention has been given to other proteins (e.g., inflammatory mediators) that might be present in PRP. Furthermore, there are numerous ways to generate PRP which may influence the concentration of inflammatory cells (e.g., leukocytes) and proteins. Delivery of concentrated leukocytes may not be ideal for promoting healing and may even be associated with increased expression of genes for catabolic proteins (which promote tissue breakdown). Sundman et al. compared 2 commercial systems that generate PRP to determine if they differed in cellular composition as well as concentrations in growth factors and catabolic mediators. The investigators also assessed whether the concentration of cells related to the concentration of growth factors and catabolic mediators. Venous blood was collected from 11 healthy human volunteers. Each sample was divided and used to generate PRP using both systems. One commercial system tries to concentrate platelets and minimize leukocytes (referred to as PRP-1) while the other system concentrates the platelets and leukocytes (referred to as PRP-2). Neither PRP was buffered or activated after processing (steps that are sometimes performed with PRP). As expected, PRP-1 had concentrated platelets (~2 x blood concentration) and diminished leukocytes (0.13 x blood concentrations) compared with blood while PRP-2 had concentrated platelets (> 4 x blood concentrations) and leukocytes (> 4 x blood concentrations). PRP-2 had more platelets as well as neutrophils and monocytes (types of leukocytes) than PRP-1. PRP-2 had significantly more growth factors than PRP-1 but it also had higher concentrations of catabolic proteins (a catabolic enzyme and a pro-inflammatory protein). Growth factor concentrations were associated with platelet concentrations and two catabolic proteins were related to neutrophil or monocyte concentrations. This study is important because it highlights that different commercial systems for deriving PRP, which selectively concentrate platelets and/or inflammatory cells, lead to products with different concentrations of anabolic (promoting tissue repair/remodeling) and catabolic proteins. While we’ve been primarily focused on concentrating platelets we may need to start thinking about the concentrations in terms of a ratio: platelet concentrations divided by leukocyte concentrations. The authors note that we need to consider the clinical applications when selecting a PRP preparation. For a particular treatment outcome we need to consider if we want concentrated platelets and leukocytes or just concentrated platelets. Unfortunately, it is unclear which clinical situations would benefit from PRP preparations high in leukocytes. On SMR, we’ve previously noted that PRP injections may be beneficial at certain regions of the body or for certain pathologies. This study may help explain why. PRP like many other interventions used in sports medicine typically do not undergo a coordinated clinical trial approach, like medication, even though they may have equivalent physiologic effects. Furthermore, some final products are not scrutinized to the same level as prescription medications. As a community, we need to recognize the need for more systematic testing and regulation of our interventions whether they be PRP, supplements, or therapeutic modalities. It is not unfathomable that PRP preparation or modality settings could be developed, tested in small phase 1 clinical trials for a condition, then expanded to larger clinical trials for that condition, and eventually expanded to other pathologies. Some research groups have adopted this model but it needs to be more systematic implemented. We need to work together (including our professional organizations) to pursue higher research and product standards so that we can make better decisions about how to treat our patients and know that the products we are using are high quality. Do you feel that this appropriate reflects an important need for clinicians and our patients? Do you feel like the status quo is working for interventions like supplements or therapeutic modalities? I think there are many other studies that may need to be done in vitro with the effects of human tissues before subjects are actually tested. I do feel like PRP is one of the next steps in interventions of certain injuries. It is by no means a cure all treatment, but I have seen some of my athletes benefit from it and some that have not responded as well. I didn't see adverse effects, but there wasn't always an improvement. After seeing the different make-ups of both PRP-1 and PRP-2, I am a little hesitant in using it without more studies on the effects of the make-up of both versions. Currently I feel like supplements and therapeutic modalities are working, but the athletic community is becoming more competitive and the need for more quick fix interventions is becoming more common. Shandi Lyn, I couldn't agree more. Ideally, we should be seeing a systematic development of PRP preparations where they are initially tested in vitro, then in a small group of people, then in larger clinical trials for particular conditions, and then (or in parallel with the other clinical trials) they could be tested for different pathologies. Essentially, it is the different phases of research that pharmaceuticals need to undergo. This may be a situation where as clinicians we need to tell the companies that we don't intend to use/recommend their products until they can provide firm evidence that their product works for a particular ailment. Thanks again! Jeff, I'm really glad that you posted this article. Not only are those differences present in the PRP preparation, there are different methods for internal injection site preparation, notably during surgery. The PRP review that I did a few months back illustrates how much variability truly exists. Great follow-up. With PRP being in its infancy, there is a ton of learning yet to be done.